Dear Janet. Thank you. Thank you. Thank you. I don’t know how to describe with words the effect your stories have on me…so deep they are, down to the viscera and bone. Tears streaming down my face. Why? 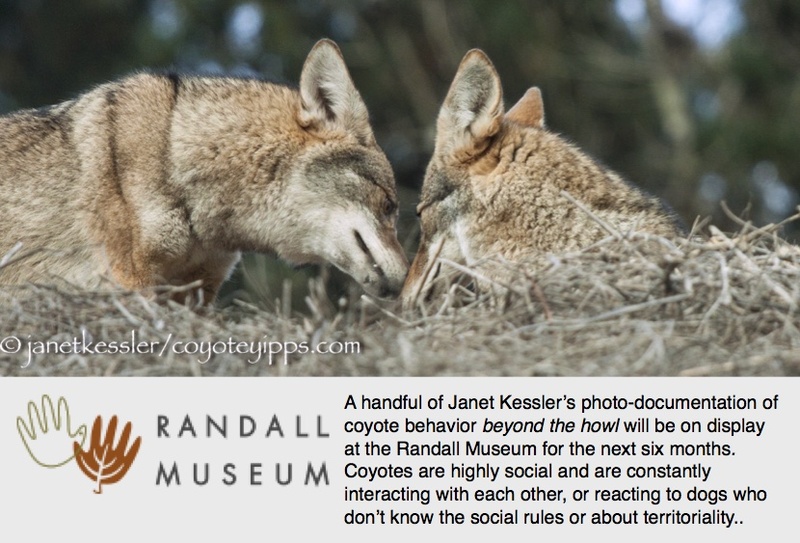 I resonate and feel these coyotes deeply through your stories – and have the privilege to participate in the fullness of their lives from extreme sadness to joy and loss to relationship – all a mirror of human life and the mysteries in me. -I am enlivened to know she found a mate. Yet I wonder and worry: are they safe? -I am sad they are gone and curious if they will return. Life is enormous when we are open and present to feel all of it. Thank you for being a magnificent guide. I can feel the void! Sad to see read about them leaving so can only imagine how you feel, Janet, and I DO hope it’s due to denning/pup season. Question about the second videos of coyotes howling: How many coyotes in total responsible for the serenade? I only saw two. Thanks again for an amazing article.. Thanks for posting this! I remember when this family moved in twelve years ago, it was a good run!